After 18 years of international experience in the field of therapy and counselling, Ann, originally from Scotland, UK, located in 2013 to the Netherlands, and practises in Rotterdam and Schoonhoven. She offers counselling/therapy in English to individuals, couples, teens and families. With a personal expatriate journey beginning back in 1996 taking her first to S.E. Asia (Singapore), and then to India (Mumbai), followed by 5 years in the Middle East (Dubai), she highly values her broad, varied and enriching work experience both clinically and culturally, and her ability to relate to living and building a life in a land that is not one's own. As part of her practise in Rotterdam and Schoonhoven, Ann offers counselling and support for expats faced with the various challenges of adjusting to a foreign country and culture. Working from an integrative perspective, Ann utilises client-centred, cognitive behavioural, psychoananlytical, and mindfulness therapy approaches depending on the specific needs of her clients. Trained also in marital and relationship therapy, Ann has 15 years experience helping couples. 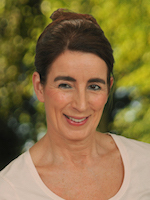 As part of her couple therapy work and interventions, she incorporates Imago Therapy and Emotional Focussed Therapy approaches and techniques to facilitate the process of couples building more satisfying and fulfilling relationships.